Akita Prefecture (秋田県, Akita-ken) is a prefecture located in the Tōhoku region of Japan. The capital is the city of Akita. The area of Akita has been created from the ancient provinces of Dewa and Mutsu. Separated from the principal Japanese centres of commerce, politics, and population by several hundred kilometres and the Ōu and Dewa mountain ranges to the east, Akita remained largely isolated from Japanese society until after the year 600. Akita was a region of hunter-gatherers and principally nomadic tribes. 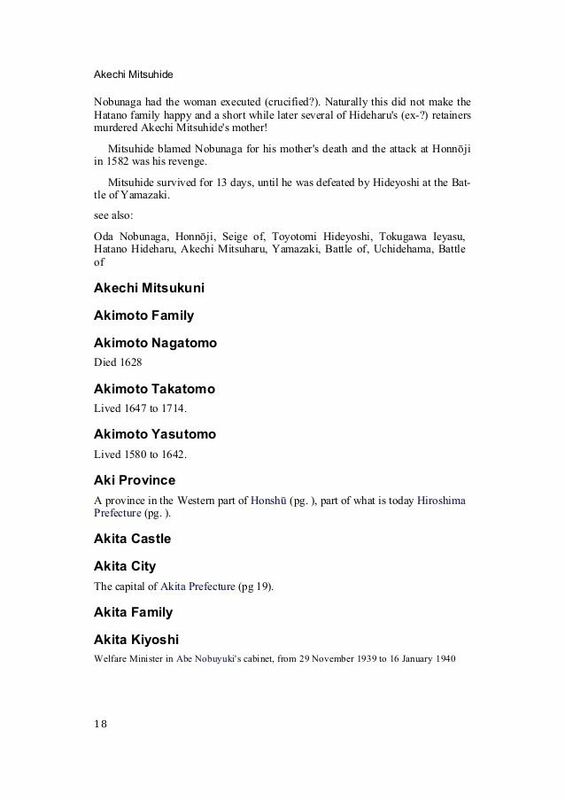 The first historical record of what is now Akita Prefecture dates to 658, when the Abe no Hirafu conquered the native Ezo tribes at what are now the cities of Akita and Noshiro. Hirafu, then governor of Koshi Province (the northwest part of Honshū bordering the Sea of Japan), established a fort on the Mogami River, and thus began the Japanese settlement of the region. In 733, a new military settlement—later renamed Akita Castle—was built in modern-day Akita city at Takashimizu, and more permanent roads and structures were developed. The region was used as a base of operations for the Japanese empire as it drove the native Ezo people from northern Honshū. It shifted hands several times. During the Tokugawa shogunate it was appropriated to the Satake clan, who ruled the region for 260 years, developing the agriculture and mining industries that are still predominant today. Throughout this period, it was classified as part of Dewa Province. In 1871, during the Meiji Restoration, Dewa Province was reshaped and the old daimyō domains were abolished and administratively reconstructed, resulting in the modern-day borders of Akita. The famous Heian period waka poet, Ono no Komachi, is said to have been born in Yuzawa City, Ogachi Town, located in the southeast of the prefecture. 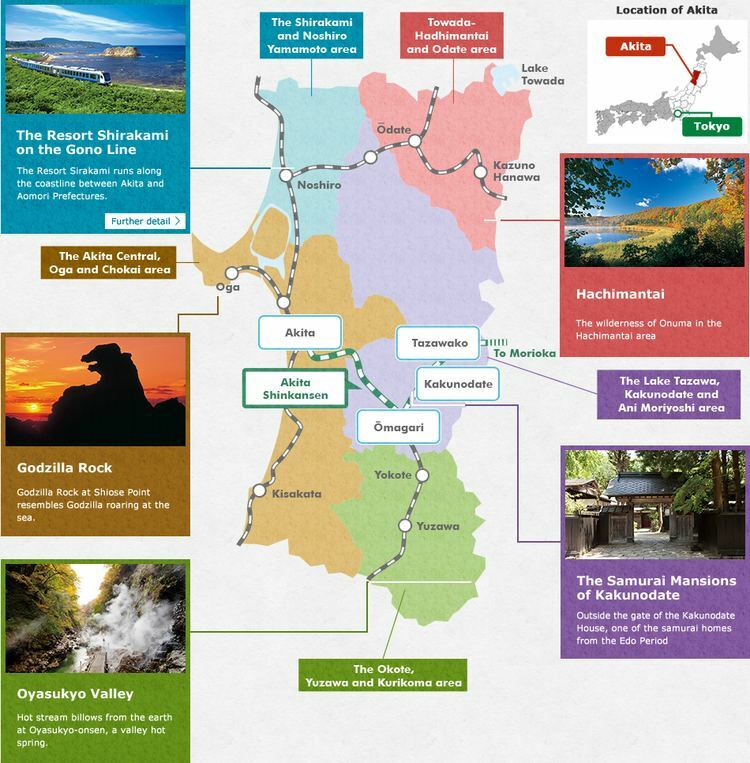 Located in the north of Honshu, Akita Prefecture faces the Sea of Japan in the west and is bordered by four other prefectures: Aomori in the north, Iwate in the east, Miyagi in the southeast, and Yamagata in the south. Akita Prefecture is rectangular in shape, roughly 181 km from north to south and 111 km from west to east. The Ōu Mountains mark the eastern border of the prefecture, and the higher Dewa Mountains run parallel through the center of the prefecture. Like much of northern Japan, the prefecture has cold winters, particularly away from the sea. The Oga Peninsula is a prominent feature of the coastline. Like much of the Tōhoku Region, Akita's economy remains dominated by traditional industries, such as agriculture, fishing, and forestry. This has led many young people to migrate to Tokyo and other large cities. Akita Prefecture is where declines in population are most severe in Japan; it is one of four prefectures in Japan registering declines in population since 1945. It also has the lowest number of children as a percentage of the population, at 11.2%. As of 2010, it has a population of just over 1 million people. Akita is famous for rice farming and its sake breweries. It is well known for having the highest consumption of sake in Japan, and thought to be the origin of the Akita breed of dog which carries the prefecture's name. The women of the region, referred to as Akita bijin (秋田美人, 'beauties of Akita'), have also gained widespread renown for their white skin, rounded faces and high voices, all of which are considered highly desirable. Ono no Komachi is a famous example of an Akita bijin. Near Lake Tazawa, there are a number of hot springs resorts (onsen). 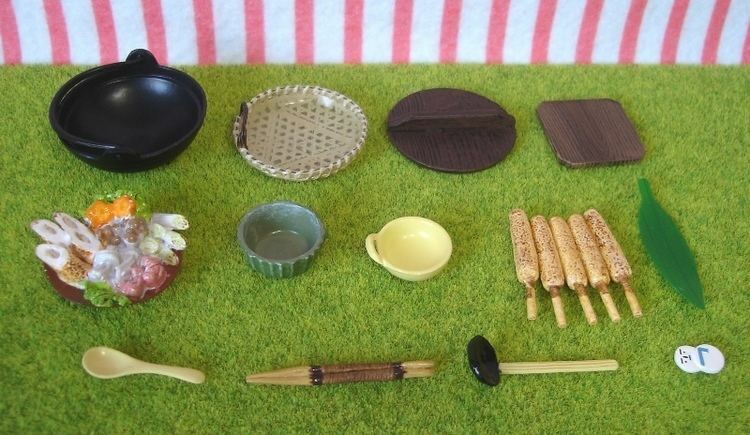 These are popular with tourists from all over Japan. In addition, its numerous seasonal festivals (matsuri) offer a glimpse of rural or traditional Japan. Some famous examples are the Akita Kantō, the Omagari Fireworks, Namahage Festival, and the Yokote Kamakura Festivals. Kakunodate is a particularly charming old town, known as the little Kyoto, full of preserved samurai houses. The Aoyagi house is the former residence of Odano Naotake, the man who illustrated Japan's first modern guide to the human anatomy. The house is now a museum and gallery of medical illustrations and traditional crafts. 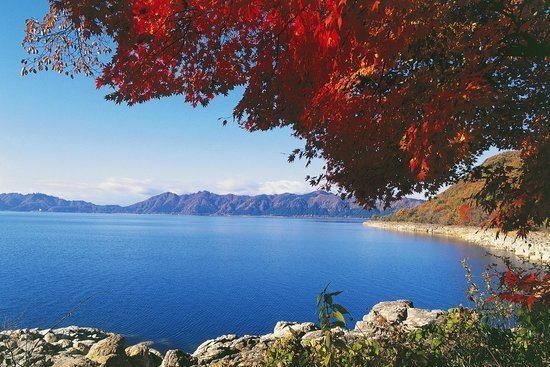 Starting in 2009, Akita began experiencing a huge surge in Korean tourism after the airing of the popular drama Iris, which featured several scenes shot in Akita, most notably at Lake Tazawa and Oga's GAO Aquarium.